Ascot, Sunninghill, Wentworth… this leafy corner of Berkshire boasts some of the most picturesque countryside and expensive real estate in Britain but it is also home to one of the longest established park home estates in the country, Warfield Park. Few people today, wandering through Warfield Park’s scenic rural parkland dotted with modern park homes, could imagine the colourful history of the park on the outskirts of Bracknell. First established in Tudor times, the land was formerly part of Windsor Great Park, welcoming Kings, Queens and illustrious figures from history over the centuries. The estate was sold to Archie MacLaren in 1939, and his son, Captain Ian MacLaren, subsequently set up Warfield as a residential caravan site in 1947. Today, Warfield Park is overseen by the MacLaren Trust and has evolved into one of the most desirable residential parks in the UK. The 92 acres of wooded parkland now feature 509 park homes on spacious plots that harmonise with the spectacular surroundings, with the majestic Wellingtonia trees planted by for mer owner Lord Ormathwaite’s wife, Lady Jane Walsh, still in situ from the late 19th century. “Warfield Park’s philosophy has always been to site high quality homes sympathetically within the natural surroundings, and to preserve the environment for years to come,” explains Nikki Collas, Development and Projects Coordinator for Warfield Park. 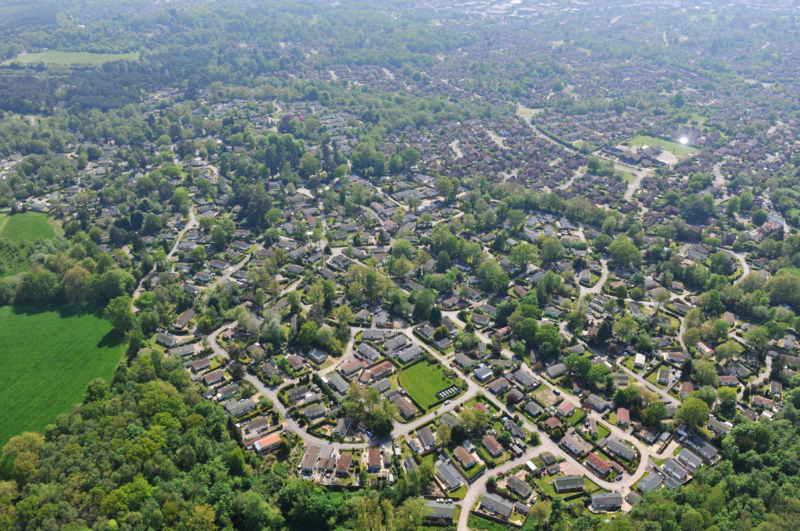 “We don’t believe in cramming in row after row of homes, and instead site them in a sylvan and non-linear fashion around winding roads and our magnificent trees.” 434 of the homes at Warfield Park are privately owned but according to Nikki, no two homes look the same because of the unique way the plots are sited on the park and the fact that new residents are encouraged to design bespoke homes. The team at Warfield work with a number of different manufacturers including Lissett Homes, Aspire Leisure & Park Homes, Prestige and Homeseeker, and Tingdene. Nikki says: “We are known for our plot sizes being significantly larger and more private than most other park home estates. Most homes have gardens and garages. We also landscape the new gardens so they look nice before residents move in, and to keep with our theme of preserving the natural environment.” Apart from its history and setting, one of the most interesting features of Warfield Park is that its remaining 75 homes are rental properties, offered on 6 month Assured Shorthold Tenancies. Not surprisingly, in a location that can offer residents a short commute to London, demand for these rental homes is high. Many homes also attract families as this is one of the few parks to offer no lower age limit on ownership / rental and where children (and up to three well-behaved pets!) are also welcome. “Warfield Park invest heavily in our rental properties and the vast majority of our homes are new or fully refurbished,” explains Nikki. “This prolongs the life of our homes, improves comfort, and reduces energy prices for the tenants. We are proud that we do not have a boiler older than 5 years old in any of our rental properties, many ofwhich also have improved thermal insulation and a multi-layer render coating or low maintenance wall covering (Canexel cladding), which complies with British Standard 3632.” Warfield Park has won many accolades including the Social Responsibility Award in the National Energy Efficiency and Healthy Homes Awards in 2017. Homes are covered under GoldShield warranties and the park is a member of the BH&HPA. Home to approximately 900 residents, Warfield Park is a thriving, multi-generational community with its own Community Hall, Hairdressers, Beauty Salon a nd coin-operated Launderette. An active Community Association host a number of social, music and fitness classes in the hall daily, as well as regular weekend socials. A team of 18 staff is employed on site: 10 are office based and eight take responsibility for the extensive grounds outside. Warfield Park management and staff, led by Managing Director Barry Sumner, are committed to ensuring the park runs in tip-top condition and that the residents are happy in their homes. “We feel very strongly that it is important to have an open dialogue with our residents so they can voice ideas for improvements or amendments to the way we work,” says Nikki. “We hold bi-monthly Park Assembly meetings in the Community Hall to find out what the residents think we do well and what we can improve upon.” In 2018, Warfield Park saw a huge number of developments including electrical improvement works, several new homes, extended visitor parking, a redecoration of the Community Hall, and the laying of 7.6km of pipework for the supply of mains natural gas, which was completed just in time for Christmas 2018. Doncaster-based park homes operator Serenity Parks might be a relative newcomer to the industry but they have ambitious plans for the future. 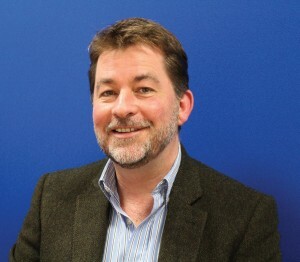 The Company was established in 2016 by Directors Gary Burns and Andrew Wilson, who already co-own a successful and longestablished civil engineering business – the NMC Group. After many years of working on engineering projects that included residential and holiday park developments, Gary and Andrew decided to take the plunge and invest in their own parks. 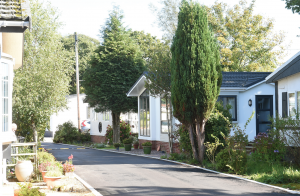 “Through our civil engineering contracts we have long been involved with infrastructure and development works for many residential park home estates throughout the country,” explains Gary. 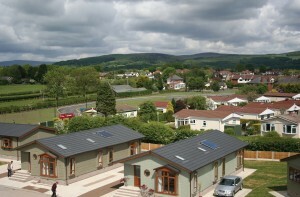 “Given the steady increase in this market and the changing perceptions of park home living, we identified a strong opportunity to diversify our business interests and this has proved successful.” Gary and Andrew launched Serenity Parks by taking the opportunity to acquire two existing residential parks in Cheshire that were ripe for re-development. Chester’s Croft is situated in the leafy Stockport suburb of Cheadle Hulme, and was acquired by Serenity Parks in November 2016. Its highly desirable location, just over two miles from Stockport itselfand seven miles from Manchester, makes it a popular choice with residents. The park offers plenty of green outdoor space, as well as excellent travel links, including two nearby rail stations and the ease of Manchester Airport just a few minutes drive away. Since taking on Chester’s Croft, Gary and Andrew have completely redeveloped the park and its infrastructure, investing heavily in surfacing, drainage, curbing and landscaping. They have bought back a number of plots in order to upgrade with new homes for sale. Out of a current 47 plots at Chester’s Croft, just three remain available. 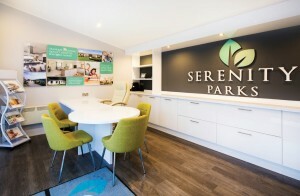 Serenity Park’s second Cheshire-based development, Alvanley Park, has also undergone a major upgrade. Many new homes have been added to the site and just one remains for sale out of a total of 40. The park sits in a prestige location in pretty Cheshire countryside and next to National Trust woodland, but with easy access to amenities in the nearby market town of Frodsham. Both Chester’s Croft and Alvanley Park offer high-end, one and two bedroom park homes from leading manufacturers including Prestige, Oakgrove, Stately Albion and Omar. Both parks cater exclusively for over-55s and offer residents a thriving social scene and a supportive environment in which to spend their later years. 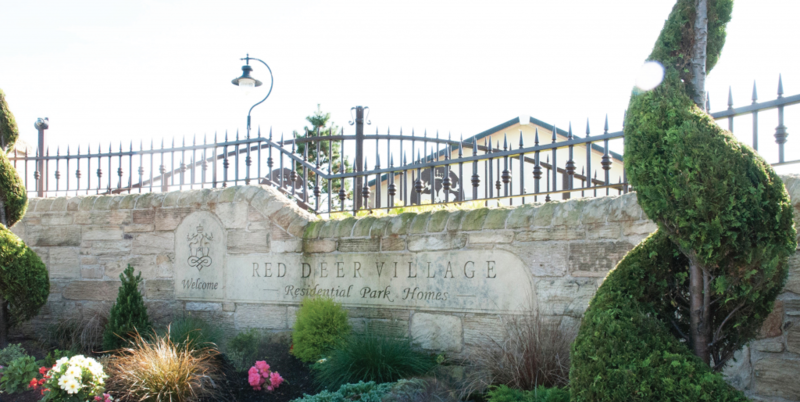 Gary and Andrew did not found Serenity Parks with the intention of just ‘owning parks.’ For them, the business represents an opportunity to create and develop communities. 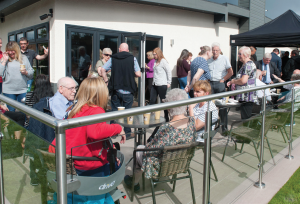 “Our homes offer an increased level of safety and security compared to city centre or suburban living, as well as encouraging residents to manage a more independent way of life in their later years. When you own a park and see new residents coming to make their home here, you can really see the positive difference in people after just a few months living amongst like-minded new friends.” Serenity Parks was born out of an absolute belief in the huge potential of park home living and its tremendous benefits, not only for park residents, but also for park owners, developers, and local authorities.Gary says: “There has been a seismic change in perceptions of park home living, especially among the over 50s who are placing more importance on leisure and the freedom that park home living can offer. The recent changes to housing policy also mean that residential park homes are now accepted as a dedicated form of housing, which gives us greater confidence in planning policy for more plots.” It’s clear that the tides are turning favourably for park home living but Serenity Parks believe much more needs to be done to educate the Government and local authority planners about the wider benefits of residential park home communities. With this in mind, Gary and Andrew have created a detailed resource document that they are proactively sharing with local authority planning departments that explains the social, economic and environmental advantages of the park home trend. Gary says the potential saving to the public purse from park home developments is massive, not to mention the solution they can offer to aid the national housing supply crisis. Gary and Andrew see this challenge as a unique opportunity to change out-dated misconceptions about the park home lifestyle. With two successful re-developments under their belt in the Northwest, Gary and Andrew are now turning their attentions to other opportunities. “We are interested in developing more high-end parks in the North but our interest remains national,” says Gary. So, it’s time for a reality check. The only way to ensure your park is best placed to turn those clicks and enquiries into bookings and sales is to have a proper strategy in place. It can be really frustrating to see large volumes of traffic coming to your website but so few of those continuing to book their holidays. Abandoned bookings and poor conversions rates are an obvious sign that all is not well somewhere in the online booking process. Whether you own a large group of holiday parks or you’re just starting out with a few touring pitches, your online booking platform is arguably the most important piece of the jigsaw. You can spend thousands of pounds per month on marketing but, if it’s all let down by a process that inhibits the booking process then you’re wasting all your hard-earned cash. Online booking systems vary greatly from one another - and the most expensive one may not necessarily be the best for your park. You need a system that not only fulfils your requirements from a park management perspective but is, crucially, easy for your customers to navigate and book online. 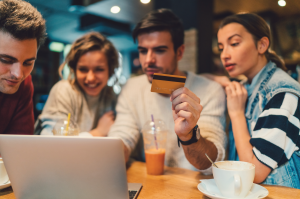 It is too easy to forget the customer booking journey with parks too often spending more time focusing on the back-office functionality of an online booking system. But these online booking steps are, potentially, far more important than whether the system can produce all your different financial reports. Most systems (but not all) on the market will come with a set of online booking steps that will be the link between your website and booking system. It is crucial that you choose a system that has booking steps that are clear, straightforward and easily navigable for your customers.Why not take the journey yourself, as a customer would (we recommend trying this on a mobile too). If you find yourself getting frustrated then multiply this by the average number of people who visit your website and you’ll soon see why so many people abandon their bookings. hate to be the bearer of bad news but complying with GDPR wasn’t just sending out a few re-subscribe emails to your database at the end of May. It’s fair to say that it’s had (and will continue to have) a big impact on the holiday park industry. One thing’s for sure – it’s already had a big impact on the online booking sector, with many changes having been made to systems to comply as best they can with the new regulations. A cornerstone element of GDPR is customer data. Your online booking system is, potentially, storing thousands of customer records, accounts and, in some cases, payment details too. Do you know for sure where all that customer data is? Is it stored directly on the computer in your office – and is this vulnerable to hackers? Or is the data stored in the cloud? Is it encrypted to the highest level? Are your online booking steps collecting marketing information even from those who don’t complete a booking? If so, what’s being done with all that data? All these are vitally important questions you should ask your current provider or ask yourself before changing to a new system as you will be liable, should the worst happen.If your online booking is the final part of the jigsaw, then getting your customers into that booking process, is the first. How do you attract the right sort of customer to your park to begin with? Before you commit to spending hundreds or thousands of pounds per month on a Google AdWords PPC campaign or such like you need to ask yourself one fundamental question – who are your customers? How old are they? Where do they live? What interests do they have? What do they spend on an average holiday? Once you have a clear idea of the people you’re targeting then you’re more likely to achieve the desired result. Depending on the sort of customer you’re targeting, your marketing can be grouped into various activities, including your website, email, social media, pay per click (PPC) or printed media. All of this will filter back to the online booking process. A good website that’s well optimised for all the relevant keywords is certainly a good start and will be integral for just about everything you do but it will not, necessarily, be the huge driver of traffic on its own, that it once was. Things are ever-changing in the world of the web and the level of competition has gone from stiff to fierce, especially in popular holiday destinations such as the South West of England. • Does it stand out from the crowd? Does it have a ‘wow’ factor? • Is it quick and easy to use on a mobile device? • Do the images properly showcase your setting and accommodation range? How much do you spend on your marketing and what sort of Return on Investment (ROI) are you getting? Do you know? If the answer to this last question is a resounding ‘no’ then it’s time to take stock of your current activity…and think again. If, for whatever reason, you are not able to apportion revenue against your marketing then you are working with one hand behind your back. E-commerce tracking really is the cornerstone of measuring a campaign’s success, whether it be a promotional email or a Google AdWords campaign. Without this knowledge it’s almost impossible to know if what you’re doing is right. So many people are obsessed with the volume of clicks and traffic that a campaign sends to their website but this can often be very misleading. Always think – quality over quantity! You’re aiming for ‘qualified’ clicks; those that come from an audience who are in-tune and interested in your product, not those who may have clicked your banner ad by mistake. To this end, your external marketing should follow the same premise. As mentioned, know your audience and aim your marketing at this focused bunch of people, don’t waste your time and money on a scattergun approach because it simply won’t work. Planning and managing a family succession can be fraught with emotion and impact on relationships away from the business, so if passions are running high or it is difficult to take the challenging decisions needed for a successful handover, Howe recommends bringing in outside help to remove emotion from the decision-making process and help all parties focus on making choices that benefit the long term health of the business. Recognising this challenge is what led Andrew to join forces with other industry experts to create Bridge Leisure Management in 2008. 10 years on, the company provides day-to-day management of holiday parks for owners who want to successfully step away from their business. He says: “As professional managers we can focus on the park, its success and development. We don’t have an emotional attachment so we can focus on what is good for the business and good for the owner.” Discussing the transfer of the business from one generation to the next can often unearth unresolved conflicts between family members, such as arguments over business direction, perceived family favouritism, or lack of confidence in abilities. Rather than confronting and discussing these families are more likely to bury their feelings and beliefs, eroding trust and increasing their stresses during the succession process. At this point, outside support can be invaluable in helping the process of handing control from one generation to the next, when any changes made by the younger group keen to make its mark can be seen as a criticism of the work done previously by family. 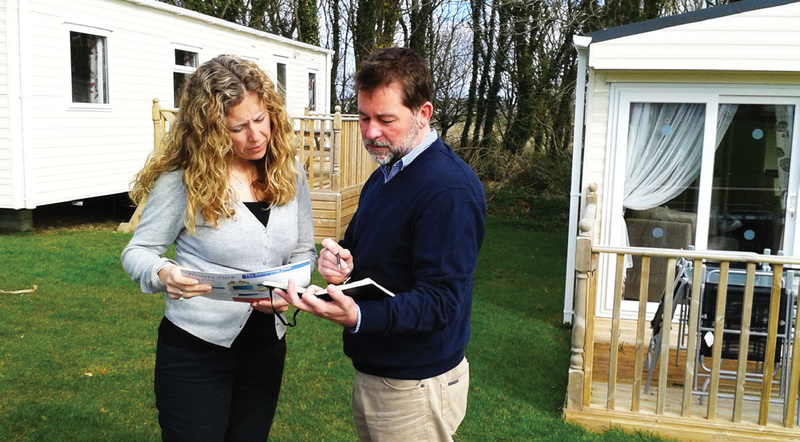 “We work alongside families to help get the best from everyone and maintain an absolute focus on the business Holiday park owners are spending so much time working that they are failing to plan for a successful retirement. Andrew Howe, chief executive of Bridge Leisure Management says that one of the biggest mistakes park owners make is to ignore questions of succession. He says: “If your goal is to handover to family members, there can be many tricky questions to answer, made more difficult by the close relationships of those involved. “For example, what if the next in line is not ready, not up to the task of running your business, or if there are several family members vying to take over a small park where there’s really just one job to fill?” Howe’s belief is that successful succession planning must start years in advance so business owners can identify and address the weak spots and potential problems of handing over to family members. handover, but for park owners who have grown their operations as the sole person in charge, it can be a difficult change in mindset to start having open and honest conversations about their business. Howe’s advice is to make family members responsible and accountable for the park’s growth by showing them the business challenges and future opportunities.and success. All parks are different and so our role is to find a management solution that works for each individual owner.” In many instances, holiday park owners may discover that their children don’t share their same enthusiasm for succession, and so their next step may be to look at selling. Security is a precarious balancing act for holiday park operators. Holiday makers arrive on site, ready to have a good time, ultimately taking away some precious memories when they set off for home, safe and sound and without incident. One of the greatest challenges each season is managing visitor expectations and enjoyment during peak periods. Security measures need to be almost invisible until they needed with security staff, particularly, a reassuring presence for guests. Specialist suppliers like Ramtech completely understand that as a holiday park operator you need robust yet discreet security solutions that enhance the leisure experience you provide to your customers. 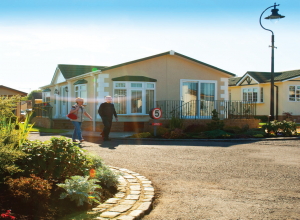 Ramtech’s alarm monitoring system is tailored to meet the specifi c challenges faced by the caravan and holiday park market, enabling you to offer additional peace of mind to your customers that their investment in their holiday homes and valuable contents is protected all year round. “Our wireless alarm system provides reliable, effective security that also delivers a valuable additional selling point and revenue generation tool for your park. Once installed, the alarm systems can be operated and monitored by your own security teams, putting you in complete control,” says Ramtech’s Cat Widdowson. 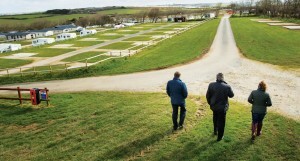 Touring caravans left on sites, and even static caravans can be a target for thieves. All caravans manufactured in the UK since 1992 have a 17-digit vehicle identifi cation number (VIN) etched onto the vehicle chassis and windows. Mark your VIN number with a security marker inside cupboards and other places to help you identify your caravan if it’s stolen. 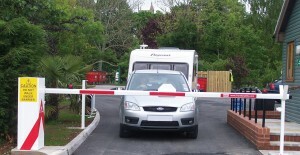 Although North Wales is one of the SAFEST PLACES to live, work and visit, the regional force works pro-actively to remind caravan owners and holidaymakers of these simple steps to help reduce chances of becoming a victim of crime including: • Immobilising the caravan with an approved clamping or locking system once on site. • Fit a tracking device so the caravan can be traced if stolen • Fit a reliable alarm and always switch it on “Holiday park theft is becoming a big issue as caravans,lodges and holiday homes increasingly have more valuables in them,” agrees Roy Williams of security provider Crosby Intruder Alarms. “It is commonplace these days to have two or more televisions, Sky boxes and other audio and video entertainment systems. It can be lucrative for a thief to target these units, particularly in the closed season when there is less chance of being disturbed. While alarms and CCTV can go some way in tackling crime on parks, often much simpler and inexpensive steps can be taken to prevent theft. One such product from Cardea Solutions – the Buggy Lock - is becoming widespread at holiday parks across the country. The device is designed for families and allows prams and essential transportation equipment such as scooters and bikes to be secured safely. Stores of agricultural equipment and often vehicles for maintenance use around the premises need to be kept secure. These can range in value but hold an appeal to criminals as items that are easily sellable. It is important for site owners to protect these items by storing them correctly and securely in locked buildings or compounds, with keys removed and stored in a safe place.Many caravan and holiday home parks suffer from some form of vandalism from time to time. Installing Closed Circuit Television (CCTV) can help to combat this problem. 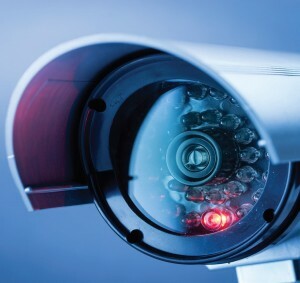 There is some very high quality CCTV equipment these days that doesn’t cost the earth that can provide clear images in both day and night situations. From an insurance point of view, commercial insurance is a two way street whereby insurers will do all they can to provide a safety net to protect a company’s assets and their ability to trade. In turn, insurers may provide clients with guidelines to adhere to which they hope will serve to limit the potential for claims. Holiday Parks are well accustomed to having the correct physical security in place, barriers, CCTV, alarms are all common to protect a park from traditional thefts. However the threat of a digital attack or loss is ever increasing in the modern world. With the new General Data Protection Regulation (GDPR) coming into effect it’s concerning that according to Government Statistics only 38% of businesses are even aware of this new data protection act. Unfortunately, we operate in a world where cyber attacks of one form or another have become a common part of everyday life – 46% of businesses reported a cyber security breach in 2017 (Source – UK Government Cyber Breaches Survey 2017). This combination of increased regulation and more regular breaches means that it’s more important than ever that your business takes steps to protect itself in the digital world, even if you don’t operate online it’s likely that your systems are connected to the internet and therefore could be vulnerable. Most businesses in this sector will have an electronic booking system and/or hold customer data electronically; access control may also be digitalised. All of this could leave your business exposed to signifi cant costs and expenses and importantly loss of income, in the event of a system failure, fraudulent or not! Businesses should look at their IT infrastructure to ensure they have robust security in place to minimize the risk of a breach however it is not possible to guarantee any system is completely secure – user error or a determined hacker can often still cause a breach. Therefore, parks are recommended to look at Cyber Protection. A trip to Florida in 2003 with a group of fellow park owners proved pivotal to Michael and Julie Ward, owners of four residential park homes in Lancashire. “We travelled to the States to enrol in two courses at the Disney Institute including ‘The Disney Approach To Quality Service’ and spent time visiting parks and manufacturers, including a park in Sebring,” Michael explains. 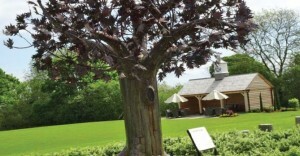 This American park became the catalyst for Michael’s vision for a new development: Acresfield. 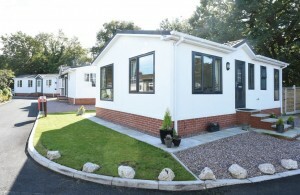 Acresfield Park opened in 2010, an exclusive development of just 43, easily maintained, two bedroomed, detached bungalow-style properties, specifically designed for the over 55’s. The park is ideally located close to the historic market town of Garstang, where residents can enjoy shopping, golf, fishing, bird watching, as well as beautiful fell, canal and riverside walks. Acresfield is also situated just 30 minutes from the brighter lights of Blackpool and the coast. Nevertheless, Acresfield residents need never leave the park as it provides everything they need for entertainment on-site. 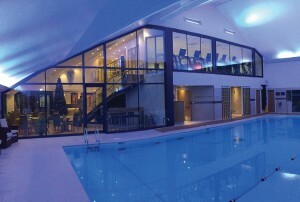 Four years ago Acresfield Health Club & Spa opened. The club boasts a 15m swimming pool, sauna, steam room, Jacuzzi, a state of the art gym, a multi purpose hall for dance and fitness classes, indoor bowls, badminton and table tennis. There is also a bistro, hair studio, and a spa with three luxurious treatment rooms. The Club is open for membership to the general public, however fi rst time purchasers of new homes on Acresfi eld Park receive free membership and homeowners on the other parks receive highly discounted membership. Michael refers to Acresfi eld Park and its attendant Health Club & Spa as the ‘jewel in the Residential Parks portfolio crown’. He is justifi ably proud. Last year, Acresfi eld Park and its adjoining sister park, Wyre Vale, featured on a Channel 5 documentary series. The episodes featuring the parks attracted between 1.2 and 1.4 million viewers, and resulted in many converts to the park home lifestyle. 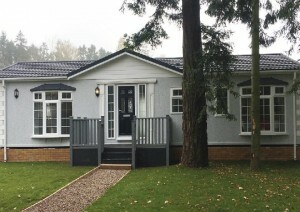 The Ward family purchased their first residential park home estate in 1968. 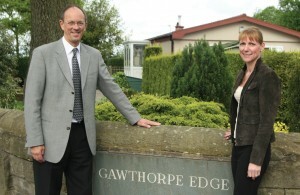 Michael and Julie are the second generation, becoming involved in the business in 1985. 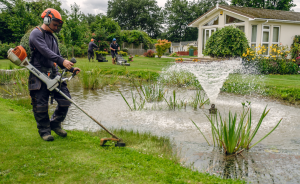 Winning Residential Park Owners of the Year, an unprecedented three times, over the years, their Parks have also won numerous Gold David Bellamy Conservation Awards including a Special Distinction Award. Michael and Julie own and operate four residential parks, one Holiday Park and a Health Club & Spa with the help of their daughter Sophie and son Alex. Their parks are all located in Lancashire: Gawthorpe Edge Park in Burnley, Lodge Park, Wyre Vale and Acresfield Parks in Garstang, and Merlewood Country Park, which is situated in the picturesque village of Little Eccleston. Together, the parks extend to some 475 pitches. The close proximity of the parks means that the family can take a very personal interest in their day-to-day operation. They are supported by a loyal team of almost 40 people, many of whom have worked on the parks for over 30 years. “We really understand the importance of offering a quality service to our homeowners,” says Michael. “In this day and age, people are eager to criticise and less keen to commend, which is why we are so proud of our multiple resident-nominated awards.” The Ward family believe strongly that park homes such as these represent the perfect solution for customers of a certain age. As the demand for park homes increases, Michael believes that the Government needs to change its attitude towards park living. 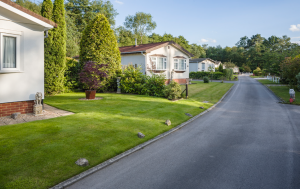 One of the most picturesque caravan holiday home and luxury lodge parks in the UK can be found on the Welsh border with Shropshire. Overlooking the River Severn, Seven Oaks Holiday Park at Crew Green, between Shrewsbury and Welshpool, has been awarded the Visit Wales five star “exceptional” rating. Most caravan holiday homes and lodges on the 40-acre park have river views and are bordered by mature trees, banks of planting and immaculately kept grass down to the riverside. 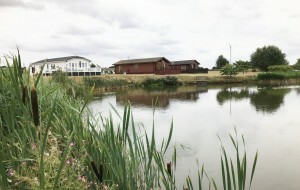 River fishing is available and there are two coarse fishing lakes for the exclusive use of owners. Non anglers are able to relax on one of the many benches dotted around the lake and enjoy watching the abundant wildlife. Twenty riverside pitches were added on an elevated terrace three years ago, taking the total to 119. Open from March to January every year, the park is especially popular with caravan owners from the Midlands and North West England. “We are not just selling a caravan holiday home here, we are selling a new way of life,” says Margaret Brace, who manages the park with her husband, Ron. The story of Alfie Best’s rise from a humble childhood to multimillionaire businessman reads like a modern day fairy tale. Born into a Romany Gypsy family in 1970, Alfie started working at the tender age of eight, labouring and laying tarmac alongside his father. By 14, he was buying and selling vehicles and just a few years later, he already owned several mobile phone shops across London. By 2001, entrepreneur Alfie had made enough money to invest in his heritage, purchasing his first mobile home park in Romford – Lakeview Residential Park – for a significant £1.7million. Lakeview Park, with its 132 homes, is still one of the most popular parks in Alfie Best’s portfolio - the Wyldecrest Parks Group, now valued at over £230 million. 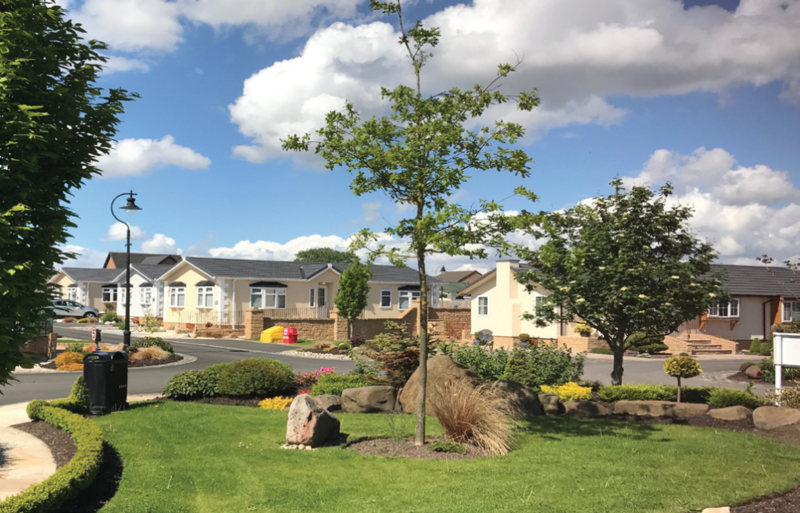 As one of the most successful park operators in the UK, the award-winning Wyldecrest portfolio includes 52 residential parks for the over 50’s and six holiday parks offering homes for rent and sale. As the only ISO 9001 accredited operator within the parks sector, Wyldecrest Parks is also the only parks group to have nationwide coverage in 24 counties across England, Scotland and Wales. The phenomenal growth of Wyldecrest Parks is undoubtedly a product of Chairman Alfie Best’s personal drive to succeed. Although numerous, his park investments are testament to quality over quantity with carefully chosen locations, safety and security provided by on site staff, and the highest operational standards. Saltmarshe Castle Park is a particular jewel in the Wyldecrest crown. Homes are set amongst the picturesque grounds of a former 19th century country house and estate close to the market town of Bromyard in Herefordshire. The original castle was demolished in the 1950s but parts of the outer walls and turrets remain, alongside several outbuildings and stables. All are being restored to their former glory to add to the park’s unique atmosphere. Saltmarshe Castle Park started life as a holiday park and was acquired by Wyldecrest Parks in 2015. It still has some 300+ holiday homes but the park is currently in the midst of a massive upgrade with 60+ residential plots being developed in the initial stage. 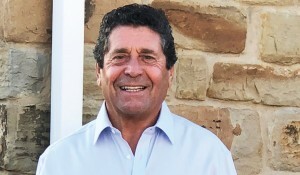 According to Alfie Best, Saltmarshe Castle Park’s many natural assets made it a natural choice for residential development. “The park’s premier location and its outstanding beauty are impossible to deny, ” says Alfie. “It would have been a shame not to take full advantage of that. Now people can live in this astonishing site permanently, and enjoy its beauty full-time.” Out of the initial plots being developed in the Tower Court area of the park, more than half are ready to receive happy new owners, whilst further availability is limited, especially for those plots which offer exclusive and unrestricted country views. Adding to their investment in the local region, last year Wyldecrest Parks also acquired the nearby Sapey Golf Club. Alfi e Best believes that the popular Club offers huge potential as a lifestyle venue. The rebranded Sapey Golf and Country Club is shortly going to be offering a select number of exclusive golf lodges. “Our main goal is to bring the golf club up to its former glory, at the same time we create more jobs, invest in the region and bring revenue to the local community,” explains Alfi e. Giving back to its communities is at the heart of Wyldecrest Parks’ ethos and to this end, the company recently launched the Wyldecrest Parks Charitable Trust. The aim of the Trust is to deliver family support, equipment and health care to those who are facing life-threatening health conditions in and around their park communities. The charity will also be supporting holiday breaks for families in need. Through the Trust, the Wyldecrest Parks Group hopes to inspire some of its 120 staff and many thousands of homeowners to organise their own fundraising activities and get involved in volunteering opportunities within their own communities. “As a company, we are really excited about this development. We feel it’s our duty as a successful, growing company, to make a positive contribution to worthy causes and this is our expression of that deeply held commitment”, says Alfie Best. 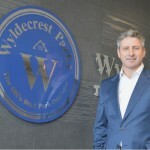 If Wyldecrest Parks’ recent growth (30% expansion over two years) is anything to go by, the business is assured of a bright future. Over the years, Alfi e has also built up a number of other successful businesses within the hospitality and leisure, events, trading and finance industries including Vinyl Bar, Best Park Home Finance, Kyoto Clearance and Wylde Events.